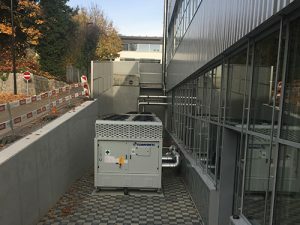 Mitsubishi Electric Hydronics & IT Cooling Systems, through its brand Climaveneta, has supplied the cooling system to the Victorinox Swiss Army Watch in Delémont, Switzerland. Victorinox is a knife manufacturer based in Switzerland since 1884. Victorinox represents quality, functionality, innovation, and iconic design for more than 130 years. Today, Victorinox is an international company that offers six categories of products: Swiss knives, kitchen and professional knives, watches, luggage, and perfumes. Delémont is one of the two existing production plants in Switzerland for Victorinox knives, as well as a qualified factory for Victorinox and Wenger watches. In 2013, the Company invested to keep high performing cooling conditions in the building, by creating an efficient cooling system for this production plant. 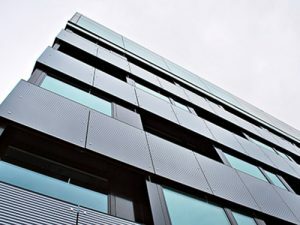 The system was based on 1 Climaveneta ERACS2Q SL CA 1962 multi-purpose heat pump with heat recovery and performed well, granting the smartest use of energy and the most reliable cooling conditions to the building. Following this successful installation, in 2017 another Climaveneta unit, 1 FX HFO SL-E S 1702 was installed to grant the most efficient and sustainable process cooling to the whole plant. In line with Swiss environmental regulations, FX was delivered with the new green HFO 1234ze refrigerant: a solution that complies with the highest efficiency targets required by modern projects, whilst offering an eco-friendly alternative to HFCs. Vast experience, profound know-how and the capability to combine efficient and sustainable solutions make Climaveneta the preferred choice in the most challenging and innovative process cooling projects worldwide.